Wondering how I started studying Psychology, somehow amazes me and I also find it unbelievable. I have a long way to go, but somehow, I’ve come so far. My fascination with Psychopaths started in my Sophomore year after seeing a documentary about them. Then again, I always enjoyed watching Thriller movies with serial killers. While I am fascinated by them, I stand 50/50 on whether I want to meet one, and the other 50 is I want to study them. So I started studying them and watching everything with them, and plan to buy every novel with characters like them. 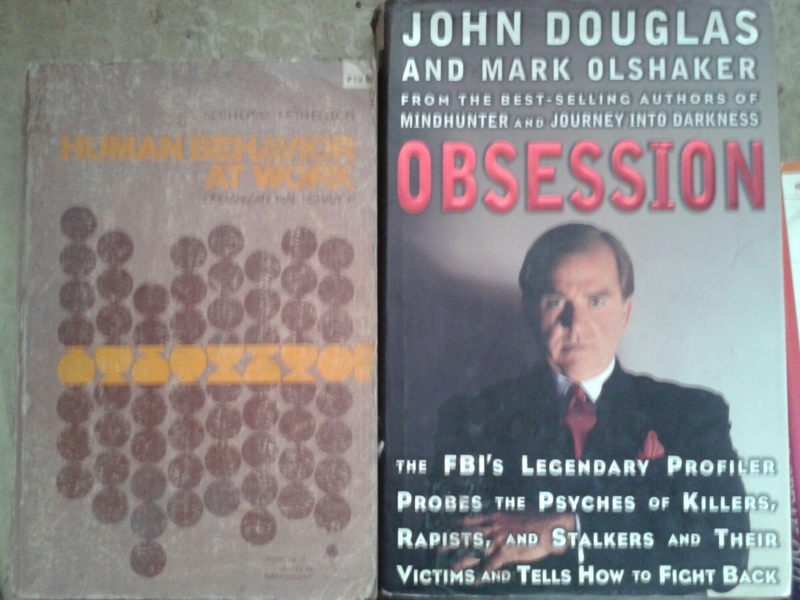 I have encyclopedias at home, from where I got my first read about Psychology. They delved on child development. 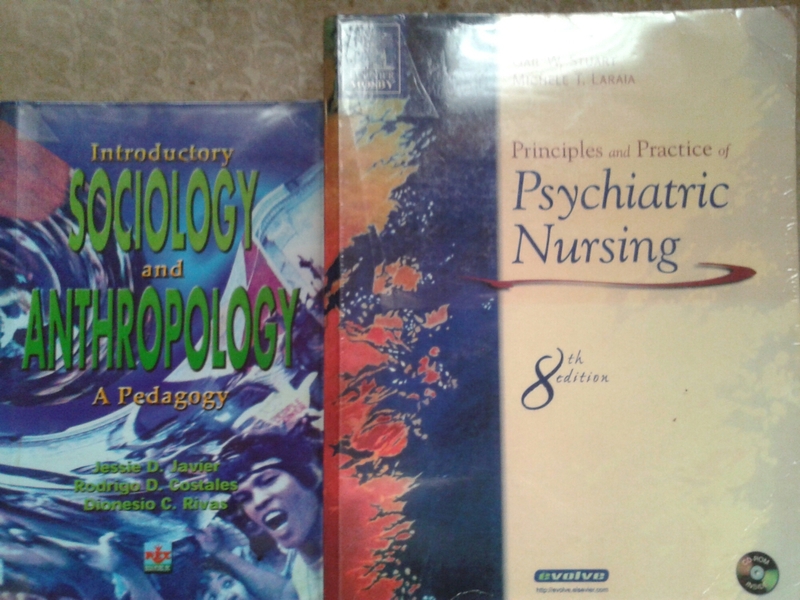 A topic I visited twice in college as a nurse, and I borrowed in several library Psychology and Psychiatry books. One very important and memorable time of my life is when I’m in my Aunt’s house. We were in her room. I was at the top of the double deck bed and she was below. She asked me, what I wanted to take in College. And I told her loud and clear that I wanted to become a Psychologist. She just told me she doesn’t want me to take care of mentally ill people. I shouldn’t have listened to her and just pursued what I love and wanted instead. Then I got into college, we have a Psychology a lot. Of course, we also have Sociology and Anthropology subjects, different forms of Psychology. 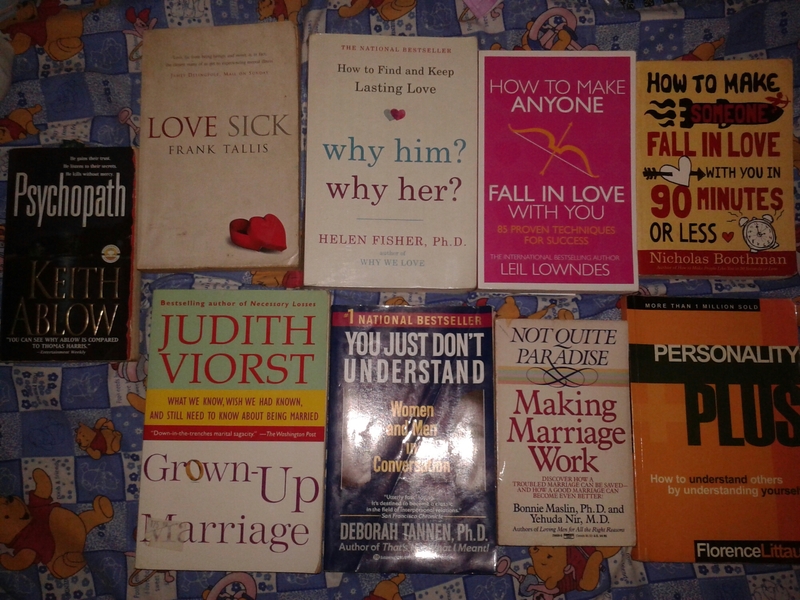 For the last 16 years these are ome of the books I read regarding them. I bought most of them in book sales and some of them from National Bookstore, Fully Booked, Powerbooks, and Amazon, the electronic books I have. 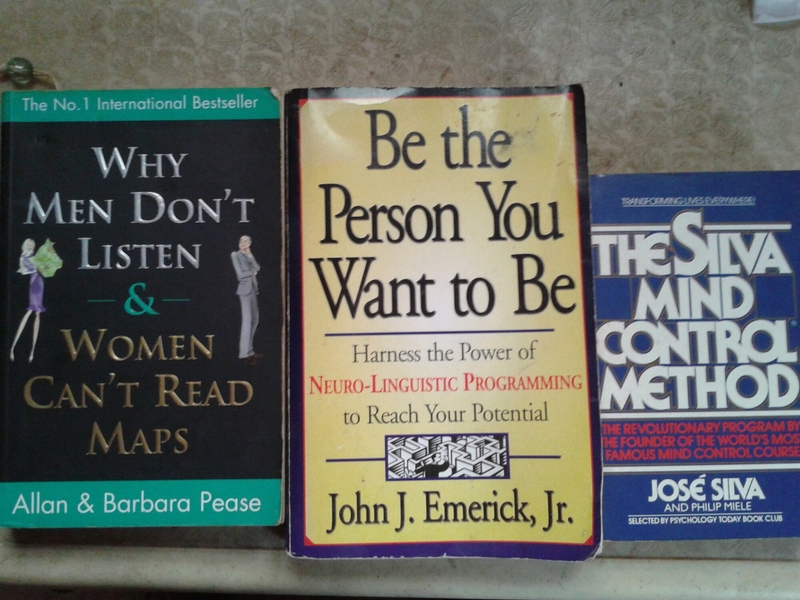 The first 2 were from my bestfriend in College, the mind control method is something I bought in highschool. There’s my books in College below. My Psychology book was borrowed. 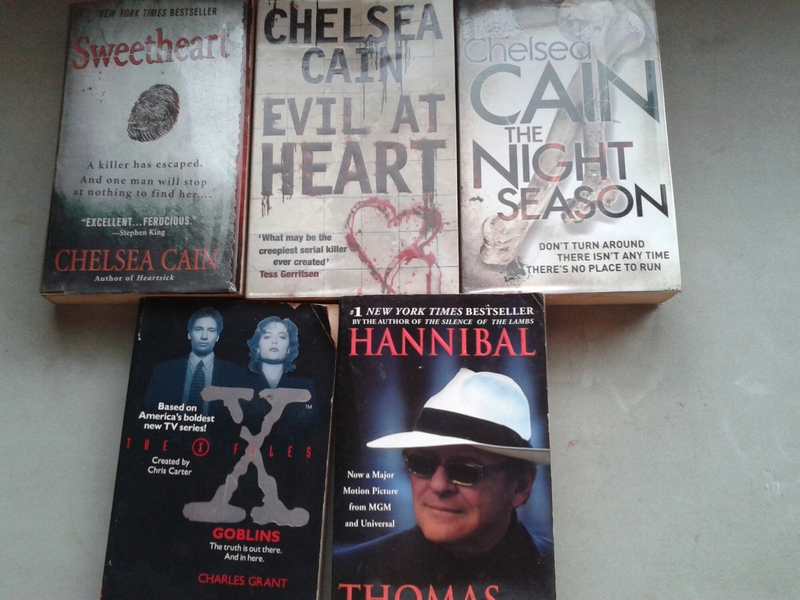 The Beauty Killer novels by Chelsea Cain are one of my favorites. 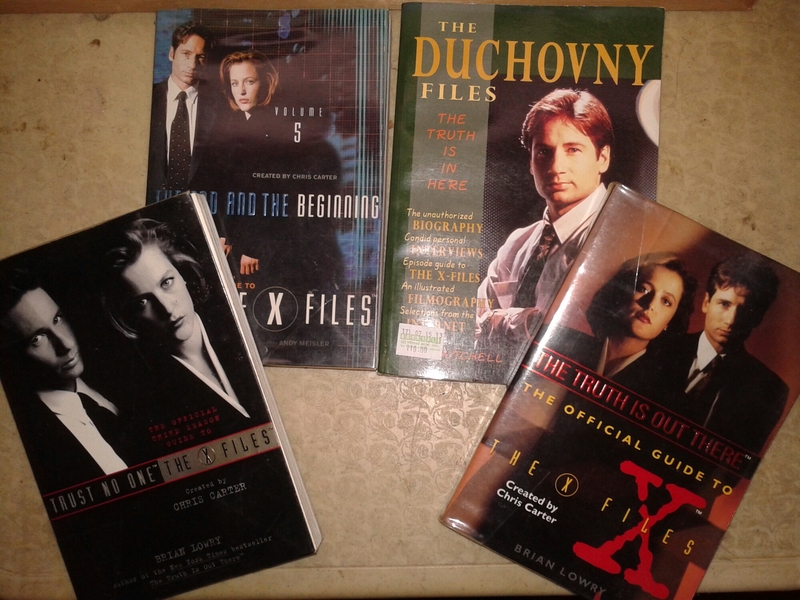 Of course, we know that Mulder is a popular or known Oxford Psychologist. My fascination in studying profiling and psychology also came from him. 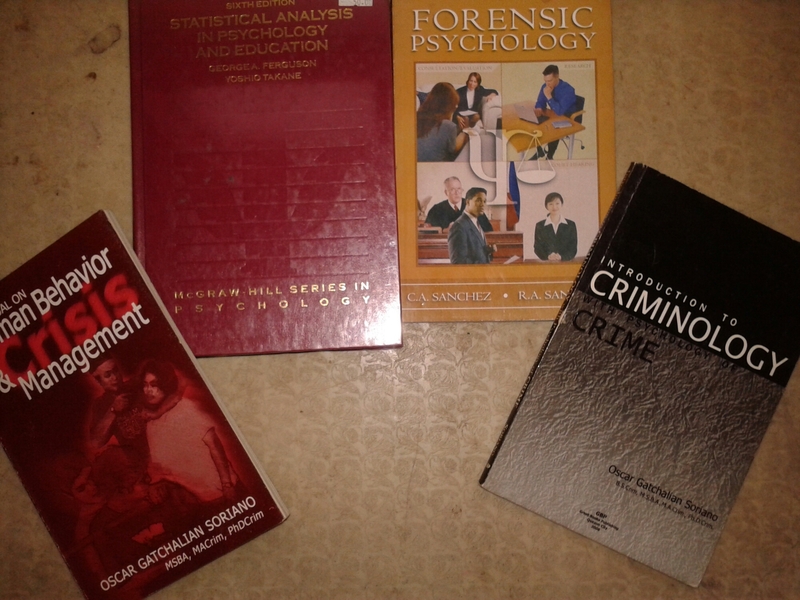 My interest in Profiling was also influenced by Criminal Minds. I know the novel Psychopath doesn’t belong with the group, but somehow it fits. Because I first heard about Lovemap from this novel. I learned several psych insights from this novel that I bought and search the other novels by Keith Ablow, a forensic psychiatrist. 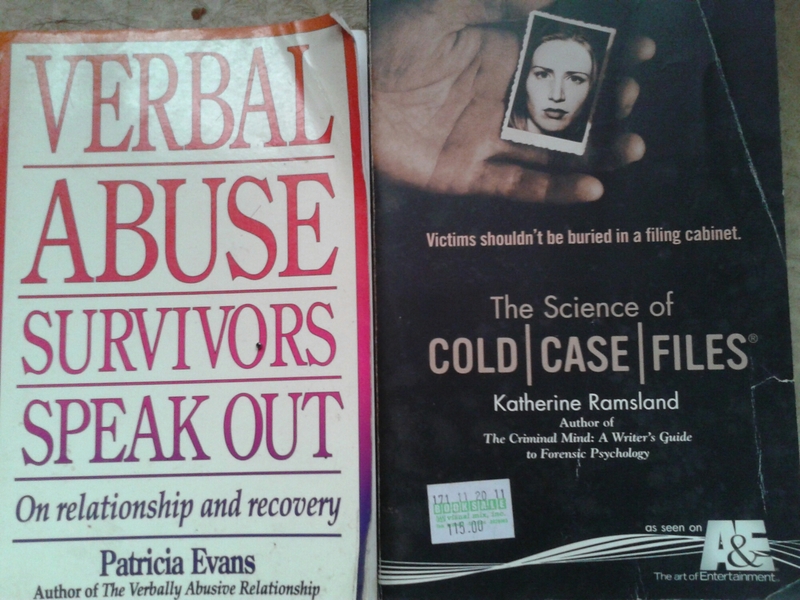 From some of the books I borrowed in our library, below is an example of some topics I photocopied for studying. This is from the book, Psychiaty Case Files. There’s another example of that picture below. Today is my birthday. And instead of celebrating my birthday. I want to celebrate what I love instead, which is to become a Psychologist. That’s not all cause it doesn’t include all the books I borrowed in our library and the electronic books I bought in Amazon and from Scribd. A/N: I wrote this post back in 2008, but that blog is not active anymore. This was the first post I’ve written where I did a lot of researching, studying, and relating my real life experience. I made this post when I was very stressed and it’s also because of this post that I told myself, I wanted to help people with my writing. The person who created Sims is so brilliant. I’ve been playing Sims for years now, and I just understood the significance of sanity in the game and in real life. It is the same thing. A person has lots of wants and needs, but he can’t get all they want. In the game, if the Sim didn’t fulfill some of his wants and needs, he’ll end up in the mental institution. It’s the same thing in real life. Now I wanted to share information about what keeps a person sane, how you would know if a person is insane, how to detect if someone is becoming insane because a lot of people take these things for granted. So what keeps a person sane? First, let’s keep it simple. Wants and Needs keep a person sane. But right now, I’ll focus on the most important thing a person needs. Like how really important it is for a person to have his needs fulfilled. Alright, now those are the needs that should be fulfilled in a person’s life at the right time. The growth needs are also important. Why? It is the criterion for Mental Health. It is very important to fulfill the needs of a person, especially when he is still young. Why? Before establishing adult identity, childhood conflicts will come back. It is a second attempt to master conflicts over childhood drives. If this is not resolved, the child remains vulnerable to psychopathology. So for example, if some deficiency and growth needs are not fulfilled in a person’s life. Then you are screwed. It is either you are living your life mentally ill for years. It will take a matter of time until he snaps or finally loses control. Depending on the needs that he lacks, it’s just two things. He’ll either hurt someone or himself. Here are some things that could help monitor if a parent has raised his child right. So we can tell that this person will grow mentally and psychologically well. 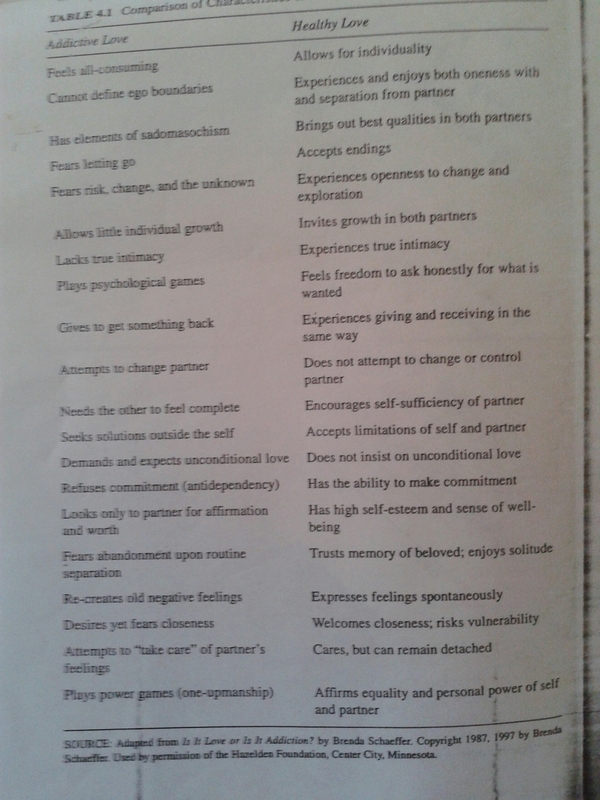 Trust vs. Mistrust – learns to love & be loved. – Unreliable provision of basic needs of caregiver. – Overcontrolling, neglecting/ rejecting parents or caregiver. Now if anyone of you has experienced anything from the maladaptive mechanisms, then you are at risk for mental and psychological disorders. Because you are vulnerable to being sick doesn’t mean you can’t do something about it. Since a child rarely speaks and I am sure you won’t hear a child saying “I have a problem. I am experiencing this and that and its affecting me too much. I encourage parents to give time to listen to their child has to say. If you can’t do that then you can’t assure him anything. Even if you try to assure him, your child won’t believe you because he doesn’t trust you. There are children who speak about their problems, but they get ignored and misunderstood. Parents now don’t understand what the importance of some things in their child’s life no matter how small it is. Because they are the adults, their way is always the best one. To a grown-up, if he is experiencing any of the maladaptive mechanisms or let’s say there are problems that affects them so much, that is where interpersonal relationship comes in, friends, parents, and spouses that’s what they do in a person’s life. They help them get through those hardships in life. They give them complete assurance, comfort and hold them at their weakest. So a person shouldn’t go through problems or hardships in life alone, no matter how petty or pathetic it is they always need someone. An independent person can solve his problems alone, but what if that person becomes vulnerable. Do you really think, he will still have a clear, level head to make the right decisions? If he didn’t make the right decisions things in their life will fall apart. You know in the past, I got tired of men hating whiny talkative women because they don’t understand why women do that. Women do that to cope with frustrations. They tell their girlfriends a story or a problem that had arisen at home, in school, or in the workplace. Then they tell them how it is affecting them and how much they hate something or they show you how mad or angry they are. Before I could almost hate my best friend because I thought, she is projecting her anger on me. Which she is but she is not doing it intentionally. It is her defense mechanism, which is called displacement to be able to cope with her frustration. There are a lot of defense mechanisms that could explain a person’s behavior. Everyone can be mentally ill in a moment of their life once they’ve used defense mechanisms in their everyday life. Actually defense mechanisms are normal, but once you use them too often, they become unhealthy for the person using it. Some of the *defense mechanisms are *denial, *projection, *introjection, *rationalization, *intellectualization, *repression, *regression, *displacement, *resistance, *withdrawal, and *fantasy. Remember, excessive imagination may lead to a delusion of grandeur. So be careful not to fantasize a lot. It will hurt you. Remember that person who uses introjection as a defense mechanism has suicidal tendencies due to depression. That is why it is important for a person to have someone who will care for him no matter what. One person could provide everything. I really believe in that. But it’s nicer if a child’s parent would provide him all of that. So he will grow up the right way and with a right mind. *Thusly marked words are defined on this LINK.